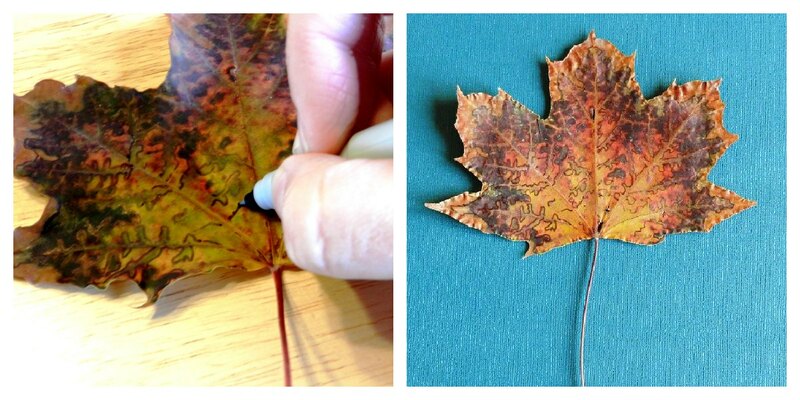 If you want to try this, you definitely have to use a fresh, pliable leaf. The old dried ones just crumble when you draw on them. Draw on it first, then dry it. You don't even have to be an artist to try this. Just trace the natural outlines and shapes on the leaf itself and add a few extra lines here and there to make it more interesting. That looks really cool! Did you try it with different colored sharpies? You are so dang creative, I love it! Fascinating. And unique. Hard to find unique these days. Love those curved lines in the top picture. Cool! You see the world through very different eyes than I do. I never look for ways to do art. You're awesome! Happy Thanksgiving and have fun with Mom, Dad and Michelly-poo! beautiful! I would be honored if you shared this at my Ginger Jamboree Link Party! This is so artistic, well done! On DETAILS I feature projects that have those little details that make them extraordinary. I'd love for you to stop by and visit and follow along on my new journey. These are beautiful and a great way to connect with the details of nature. I'll be featuring this on The Crafty Crow soon! Wow, you always surprise us with the simple and best looking! Kudos to you girl, Hats Off!